The NOP has recognized raw compost as a potentially hazardous material. One of the reasons why it could be hazardous is because raw compost may contain food borne illness that could spread to garden products intended for food. If you intend to use raw compost on your garden, please refer to the standards the NOP has placed. Think about it, if you tossed food into the compost, it was probably inedible, or close to it. Would you eat or want to eat food that has come in contact with other inedible foods? There are methods to discern weather or not compost has fully decomposed, and these practices are thoroughly followed on our farm, but it takes time and record keeping that most people just don’t do. To be safe and not spread food borne illness to your veggie garden, you should heed the reccommendations implied by the NOP for compost your gardens. Amend soil intended for leafy greens and vegetables that grow in the soil at least 120 days before harvest. Amend soil intended for above ground crops that do not come in contact with the soil at least 90 days before harvest. When starting seeds, pasteurize the compost by cooking to a temp of 160 degrees Fahrenheit for a period of 30 minutes. For a complete article of using compost in organic gardening please visit- http://www.extension.org/pages/18567/making-and-using-compost-for-organic-farming. Pasteurizing compost can also help prevent other problems from occurring. Pasteurizing composted materials eliminates risk of food borne disease from contaminating crops. Pasteurizing compost prevents soil borne plant pathogens from contaminating the plants. 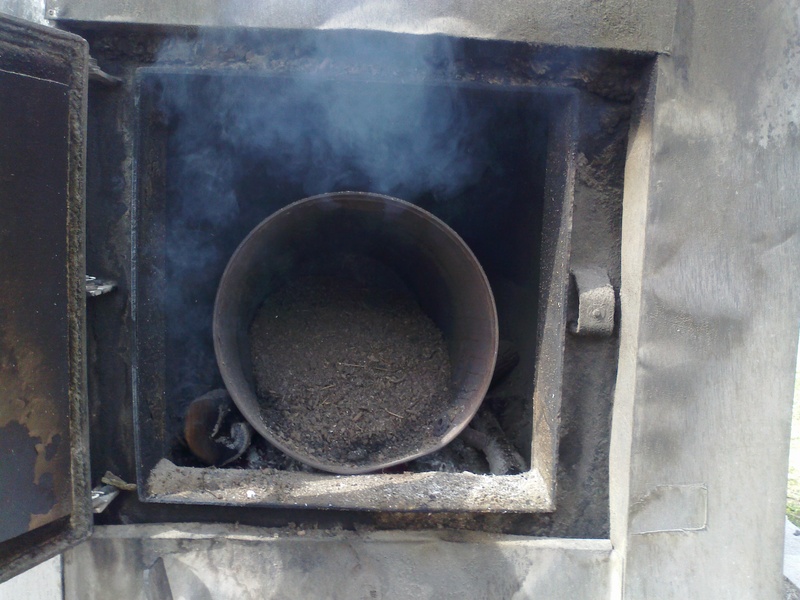 Pasteurizing compost kills a majority of weed seeds that may have entered the compost pile. Pasteurizing Compost does have its disadvantages too. The effects of the heat may damage soil structure, requiring further amendments. The pasteurizing process can kill beneficial insects and organisms. The pasteurizing process may deplete essential nutrients for plant health requiring further amendments. Worm castings are not considered to be raw compost material, and therefore may be used at any stage of plant growth for plants intended for human consumption.